Home > What We Do > Education > Education eNews > Better off with an NDA or nada? Better off with an NDA or nada? There are many news items which can be drawn upon from last year, one item was the impact of the #MeToo movement and the dialogue which has accompanied the movement. 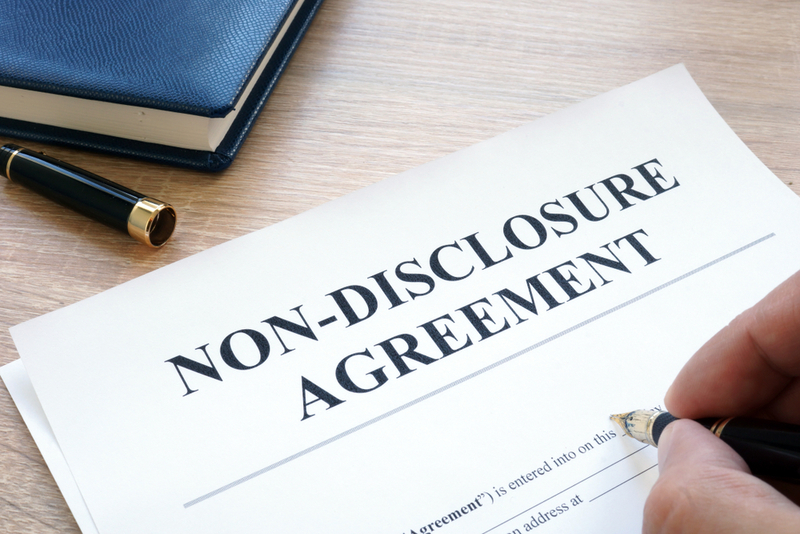 Amidst the discussions around the movement some find the use of non-disclosure agreements (NDAs) controversial or inappropriate in light of respecting people in our communities. NDAs even drew comment from the Prime Minister Theresa May who told the Commons “it is clear that employers are using them unethically”. In this article we will consider whether there is an appropriate use for NDAs in the education context. Traditionally, NDAs were effective tools for protecting legitimate personal and commercial interests, particularly in relation to litigation where they can bring finality to a dispute. NDAs can apply at any point in the employment relationship although many people associate them with the end of an employment relationship. Accordingly, the controversy of such agreements stems from employers using such clauses to ‘gag’ workers from revealing a wide range of wrongdoing. a “culture of fear and intimidation” [which NDAs can create]. In a similar vein, many are critical of the pitfalls in the wording of NDAs, that they lack clarity around which disclosures are not prohibited (i.e protected disclosures and criminal offences); and are deliberately drafted to be complex and make it near impossible for anyone without specialist skills or knowledge to interpret such clauses. At this point, you may be tempted to disregard the use of NDAs altogether. However, even amidst the backdrop of the #MeToo campaign and government reforms there is still an important and legitimate role played by NDAs in the consensual settlement of disputes, which may be vital to an employer in the educational setting. It is important to remember that even before the #MeToo movement, steps were made by the legislature to entrench measures in law such as ‘protected disclosures’. Whistleblowing provisions are a good example of this and any agreement which attempts to preclude a worker from making such a disclosure will be void. Another, crucial defence in the educational context is the ongoing commitment to safeguarding, at all levels of school life. These can be seen in the updated versions of Working together to safeguard children 2018 and Keeping children safe in education. Recently, an appeal from the Queen’s bench division, ABC & Ors v Telegraph Media Group Ltd  EWCA Civ 2329 considered NDA’s arising out of allegations concerning sexual harassment made by a woman against a well-known businessman. The court also considered that a worker may make these disclosures using the defence that it is in the public interest, however this is not easy as the courts require a comprehensive case to be made out by a worker. Has there been any harassment, bullying or other undue pressure in entering the agreement? Has the employee received independent legal advice? Is there a provision within the NDA which allows for disclosures to third parties such as regulatory bodies? Even the Solicitors Regulation Authority (SRA) has picked up on the need for change as reported in the Financial Times. The SRA has itself issued new guidance and in response to the WEC Report. Getting the balance right is often tricky. For more information on how we can help your organisation, please call Tony McPhillips on 0191 211 7908 or email [email protected].